Description: # 21 in the series. This design is taken from the Indigenous Women belt. 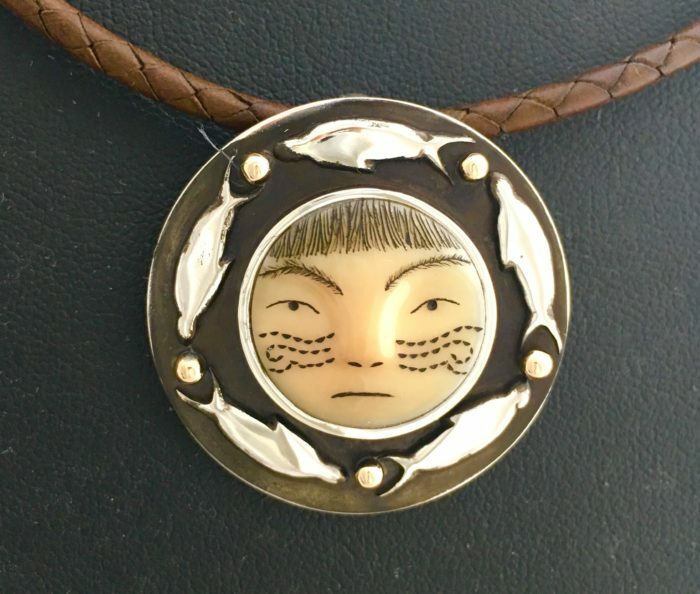 The face represents all women and the seals represent our children.